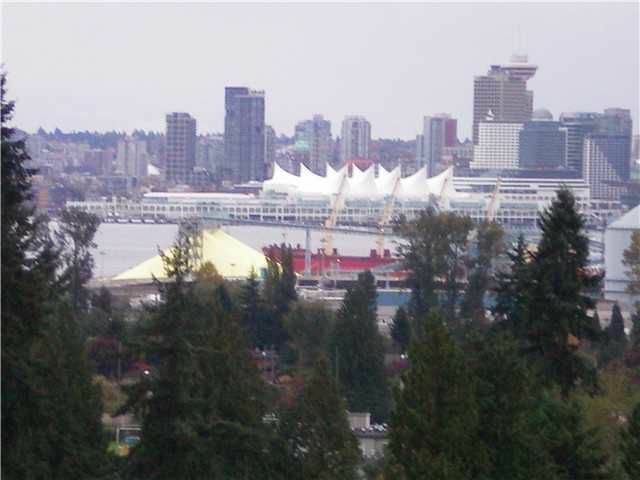 Stunning south facing city & Lions Gate Bridge views. Very private. Enjoy the peaceful sights & sounds of the Capilano River flowing. Gorgeous renovation done in October 2012 with stainless steel appliances incl D/W, kitchencabinets and clear tile backsplash, carpets, ceramic tiles, designer color paint, light fixtures and doors. The bathroom is tastefully updated and features a beautiful oversized shower with a glass door. Great investment opportunity, rented for $1,300./month. Lease expires Aug.31,2014. EASY TO SHOW.